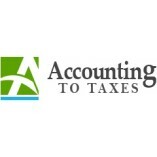 Accounting To Taxes (ATT) is a global provider of accounting services to medium and small size businesses since 2008. We are a one-stop solution for all your business accounting needs concerning Payroll Processing, Bookkeeping, Accounts Payable, Accounts Receivable, Tax Preparation and Financial Reporting. ... We have 150+ employees and have served 650+ clients across the world. Your data security is our top priority as we know your financial data is very sensitive. Our team of experts is available 24*7 hours for accounting solutions. Contact us to avail a FREE trial.